Themistocles was an Athenian general who was an excellent tactician as well as a renowned statesman. Born in 524 B.C.E. Themistocles had good claim to being the man who saved Greece during the Second Persian War. Despite this, Themistocles would be surrounded by controversy for most of his life and would die in exile in 459 B.C.E.. In 508 B.C.E., Themistocles gained Athenian citizenship thanks to Cleisthenes, who granted citizenship to all free, property holding men in Athens.2 He very quickly aspired to greater political office, attaining the position of Archon in 493 B.C.E. at around the age of 30. 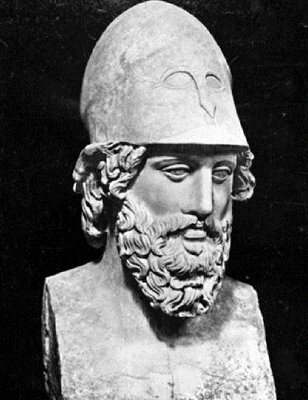 During the Second Persian War, Themistocles’ ships proved instrumental in turning the tide of the war and the saving of the population of Athens. When the Persians marched upon Athens, Themistocles used an old prophecy about the ‘wooden walls’ of Athens saving it, reinterpreting the ‘wooden walls’ as being it’s navy, thus convincing the leadership to evacuate the people. Later, at the island of Salamis, Themistocles tricked the Persian and Greek forces into a full fledged conflict. Despite the larger size of the Persian navy, the Greeks were able to defeat the Persians thanks to the cramped area in which they were fighting, rendering the numerical advantage of the Persians useless.1 Without this naval victory, Greece wouldn’t have been able to win the Persian War shortly afterwards at the land battle at Platea. Themistocles was a man of many ambitions, which in turn led him to be accused by his peers of power mongering. His critics often cited Themistocles’ as being boastful of his many accomplishments, such as his status and rank. Many of the Athenian aristocrats didn’t like Themistocles because he gained a large amount of power so quickly and was not from an affluent family. While he was the main catalyst in defeating the Persian Empire in the Second Persian War, Themistocles did so by a number of underhanded methods. During the evacuation of Athens, Themistocles looted the city and used some of the money he found to pay the wages of the rowers of the boats evacuating Athenian citizens. 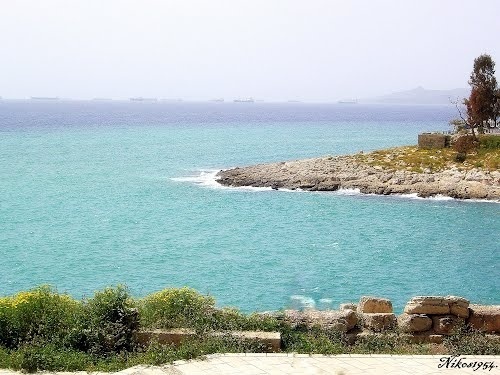 Later, at the island of Salamis, Themistocles accepted a large bribe to protect the island from the Persian navy. In order to ensure the battle happened, Themistocles bribed many of the other Greek forces to stay and fight, and when some refused, he forced them to fight by telling the Persians the location of the Greek navy. As insurance in case the Greeks lost, Themistocles mentioned in his letter that he was willing to betray Greece and join the Persians.